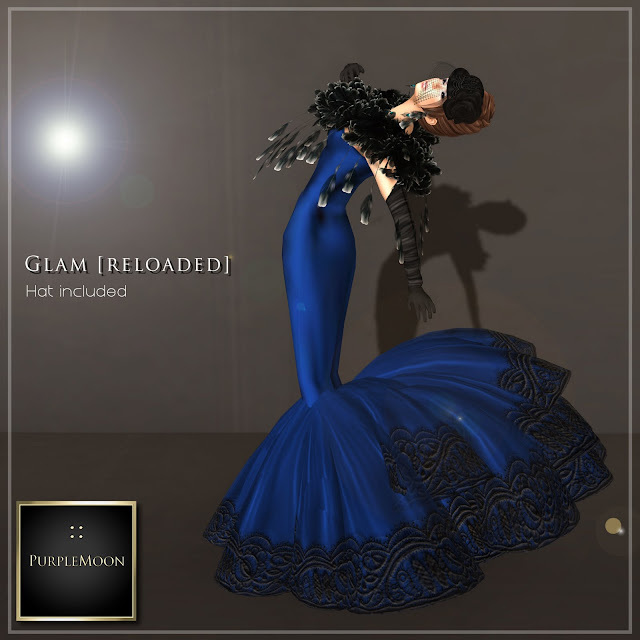 Glam [reloaded] | ! *PurpleMoon Creations* ! This is the first of the gowns that I've chosen to be “reloaded”. 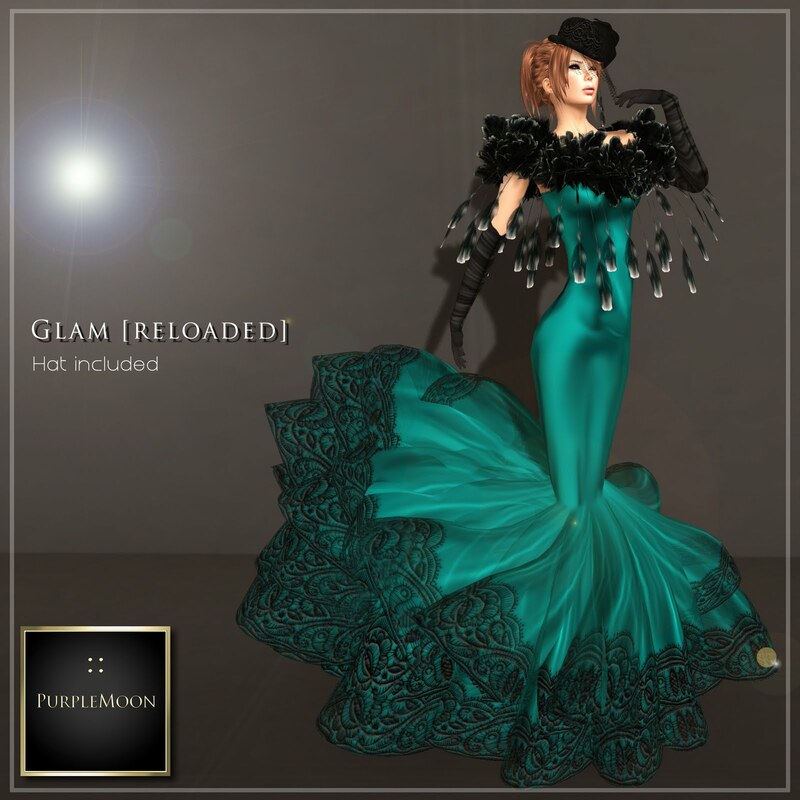 Glam was originally released in 2009 and since then it has been one of her best seller gowns. I thought it was time to renovate it, improve it and give it a new fresh look. This new [reloaded] version of Glam features a satin mermaid gown, with lace at the end of the skirt, an outstanding neckpiece made of the finest feathers and a very unique hat that adds a vintage flavour to the look. Glam [reloaded] comes in 6 colors: Teal, Ruby, Purple, Black, Sapphire and White. Enjoy this new generation of gowns! The Tropicalia Bazaar is open! The Fashion Forward Hunt has started!